We meet a lot of clients who have heard of SEO and know of the importance it has in delivering traffic and new customers to their business. Understandably they often don’t understand what is involved or how it works. SEO is a long-term strategy that should be designed to position you as the expert for your product or services to Google. Good SEO has a strong focus on content and how the content on your website is relevant to the search phrases your customers are using to find your business or your competitors business. 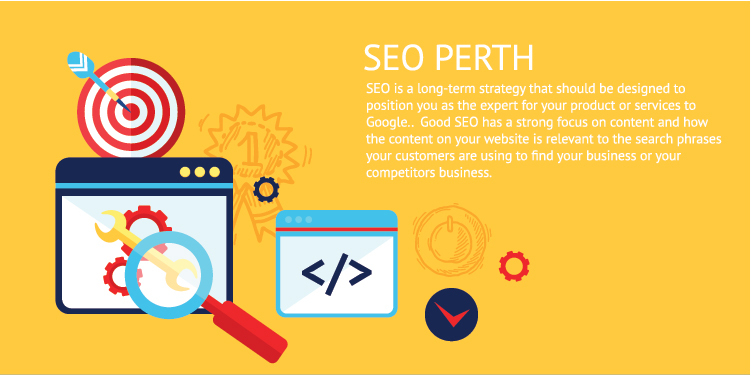 WHAT DO OUR SEO PERTH SPECIALISTS DO? We deliver qualified traffic that converts into leads and sales. And we do it for organisations of different sizes, from different industries, throughout Perth. We start by undertaking a comprehensive SEO technical audit. Our 30 point checklist will give us an understanding of your current website performance, identifying the good things your site is doing and the not so good things that need to be changed. Next, we look at ‘keyword research’ involves identifying phrases that your customers are searching for. We use leading SEO programs to research and identify the best-performing keywords related to your business. We then look at how we can work them naturally into your website copy in the appropriate places so that your content is optimised to drive sales. These are just a couple of key optimisation points that we will work with you on as we build out your SEO journey. SEO is a long-term strategy that should be designed to position you as the expert for your product or services to Google.